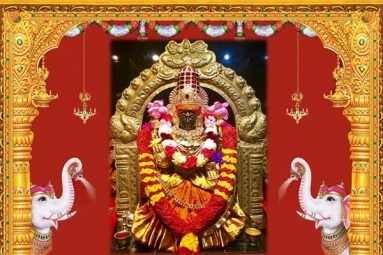 Sri Venkata Krishna Kshetra Temple will be performing Special Kumkuma Archana / Deepa pooja by 108 Ladies on Friday November 30, 2018 (Karthigai Deepam). The program will start at 6.30 pm till 7:30 pm with Recitation of Sri Lalitha Sahasranamam and Sri Lakshmi Ashtottara Kumkuma Archana followed by Maha mangalarthi. Please Click here to register and pay for Kumkuma Archana. Temple will provide Silver Deepam and Saree as Prasadam for participating devotees. We request devotees to register soon as we have only limited slots available. All participants are requested to bring fruits and flowers. Devotees are requested to participate in this pooja and obtain the blessings.